These are the four words I want to speak into Jane’s heart in every language possible. This past week, Jane, one of the widows who I work closely with in eastern Uganda, got deathly sick with complications from asthma made worse by severe pneumonia. We got word that she was in the Bududa hospital and went there immediately to check on her. I’m so grateful for Kevin’s presence, as he has been taking care of everything while I’ve been away. 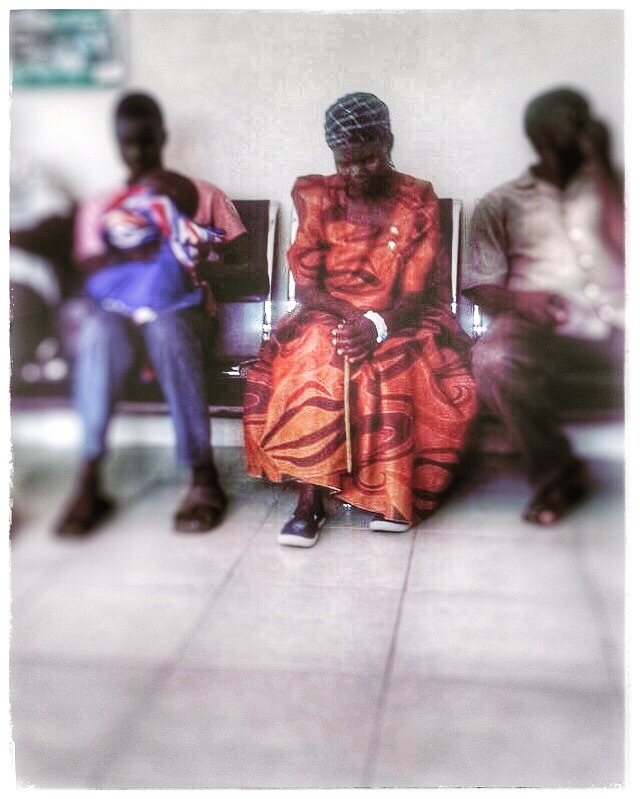 When he got to the hospital he found her “bad off” and immediately transported her to a much better hospital in Mbale. She was horribly sick and starving (there is no food or basic necessities provided in the hospital and so if there is no one to bring you the things you need, then you are left wanting). My heart breaks a million times over. Kevin cooked for her and has made sure she’s had all the medical care and treatment she’s needed. Another one of our fellow Joy Collective widows has given up her time and energy to stay by her bedside, tirelessly taking care of her, bathing her, being there for her. This is, after all, what family does for one another. And family is what we have become. Jane is one of our most gifted gardeners and, even after the tragic loss of her 23 year old son just a few months ago, she has continued to put her whole heart into our work together. She has hung onto an invisible thread of hope with a grace and beauty that I have never before witnessed. Even after her first gardens were plucked dry by the visitors of her son’s funeral, she replanted and, despite the hot breath of death, she never gave up. Health was restored to her gardens in miraculous ways, even thru the broken heart of loss. Her son was her everything. He was kind and loving and took good care of her. The struggle since his passing has been very real. Already widowed, she then lost not only her son, but her most reliable help mate. The second adult child to leave her too soon. She cares for more grandchildren than I’ve ever quite been able to count. She surprises me over and over again in her fastidious and faithful approach to all she does. She is immensely humble, loving and has a spark that even the devil can’t snuff out, even tho he has tried and come close. Getting to know her has caused me to love her in ways that words will never describe. I love her like I love Carl’s mom, my mom and my own grandmother. And yet, somehow, she is like a sister to me, too. The thing that strikes me the deepest these past few days is the realization that this illness could have easily taken her life by now. If Kevin wouldn’t have been able to show up and help her get the care she needed, she might have simply died. But she hasn’t. And we won’t let her slip out of this world unnoticed. Because we love her. And because the support we receive allows us to be there for her when she needs it most. And, while I don’t particularily want my personal blog to become a space for fundraising, quite frankly, we need you more than ever. If you’ve been considering becoming part of our Joy Collective family by becoming a monthly sponsor of our Widow’s Program, there isn’t a better time to do it. For $100 a month, your reoccurring donation can change the lives of 12 widows and their families in some very serious ways. We work closely with them to educate and stand alongside them for lasting and much needed change. Help us to stand alongside Jane and other women like her to say YOU ARE NOT ALONE in ways that mean something even in the darkest hours. To become a Widow’s Program sponsor, click the $100 option (or more) here. The process is quick and easy. The output of love and support is more appreciated than you might ever know. Learn more about The Joy Collective here.